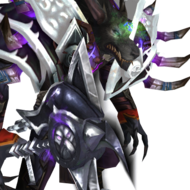 Hi, I'm Remolkeman, the WoD/Legion warlock class master and i'm here because I would like to ask for warlock players opinion for the upcoming cycles for Legion. 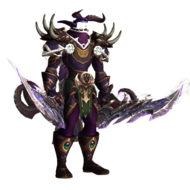 Last cycle a lot of major warlock features got fixed which means(in my opinion) that the class it's in a good spot right now, but of course it's missing stuff like talents, traits and some spell mechanics. -Fix for elite(1/1 non golden traits) and special traits(3/3 traits with mechanics) for each artifact weapon. -Fix for the missing talents for each spec. -Fix for PvP talents and missing ones. -Suggest something to focus on. Let me know your opinion by commeting below and tell me which things you would like to see working for those cycles. You want me to focus more on PvP? PvE? Let me know! Do you want me to focus on talents, PvP, traits or any other thing? hello sir. First of all, thank you for this post. I'm going to be as honest as i can. Lately, i've not playied pve content with my warlock and i've almost given up about the that class. It as been my only main class since i started playing wow (a long long time ago). it has always been my favorite and i like affliction very much. I never gave a shaite about the other specs. i think that destruction is a noob class in pvp and i don't know how to play demonology. But that post made me thing a lot about what should be or not me prioritized. 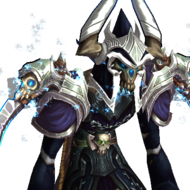 I thing that in pve, what should be prioritized is the aoe damage of the spec. Soul Flame must clearly be added for all the reasons in the world besides the aoe factor.. that spell is important not only in pve but in pvp. And please (pleeeeeaaase) don't forget that in pvp, you don't need to kill a target to "proc" it. In PvP, just by having a dot on the target, when it dies, soul flame happens. you can easily see that just by going to youtube and search: "warlock legion battlegrounds". its simple to see that in any of them. But in pve, it only happens when you kill a target. PvP - Soul Flame when the enemy have a dot. Not when it dies as the description says and everybody thinks.. go to youtube and see it. its a fact that has never been changed since 7.0 til now (7.2.5). PvE - Only when the target dies. Then we have the Grimmoire of Sacrifice, which is perfect for affliction. it works perfecty with destruction so it should be working perfecty in affliction. I don´t see why not. Everything is dots and dots and dots so its good for the extra dmg. 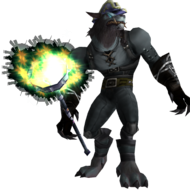 Besides the aoe dmage, grimmoire have the advantage of increasing the single target damage. is not that high but its always good to have an extra dmg. soul flame + grimmoire of sacrifice active.. what a dream. that would be awesome. both in pvp and pve. about the other spells.. i don't know now. its late and i wanna sleep. i'll think about that later. Soul stone, Please make the spell devs fix it since its a life saver in all kinds of content. 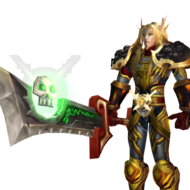 With that being said, My opinion here is that priority and focus should go to the artifact weapons and all of their traits so that they are working correctly and can get the nicest dps there is for warlocks, After that talents on each specialization that are not working correctly and lastly pvp talents that are not working correctly too, After all if you want to do pvp you do need both the traits on your weapon and the "pve" talents, You can just play with 1 set of them. 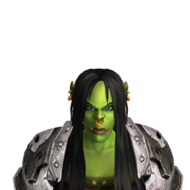 And as @TitanFurryWf mentioned, you cant choose between talents and traits because they are both pve/pvp useful. So probbaly traits would be best to focus on in the next steps, more traits=more overall power. 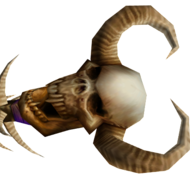 Besides the golden traits there are still few simple traits which are not scripted yet like Fatal Echoes for affli spec. And soul stone, Don't forget about soul stone. Greetings Metzi, Sadly the only "easier" hidden one to get is demonology which only requires you to farm mobs at faronaar, I already tried to do this but the mobs that should drop the items have no loot, For Destro you need to go kill a demon taking a portal that will appear in the class hall and you need a group for that ( Which means scripts which means will take time) and for Affliction it too requires scripts as you need a questchain to get it. The update for last cycle should take place within this week with the fix of all golden traits and few talents, hope you enjoy it! Dunno if it's the best place to make this question but here we go. I just hit 110lvl with my lock alt and i want to know (if u cant tell me) what the best spec for pve/pvp (atm) or atleast what spec is the less bugged. Question and the answer is highly individual depending on what you like the most (since warlock is pretty much working on every spec rn). In my opinion affliction is the most fun and most OP rn in both pve/pvp. Amazing sustain dps and good crowd control in pvp. Thanks for the quick reply. it's good to know locks are almost full working rn. i will give a shot in affl and destro since it's the most fun specs for me. If you need some tricks/macros/rotation advice, feel free to PM me here or whisper ingame! i ask demonolgy warlocks on legion realm, sometimes i hear people cry how op their dmg is. Is it true? i hardly find any good demonology warlocks, maybe they abuse some bugs? First of all, I'm glad about the affli artifact trait fixes, soulstone too. Yet there's one thing that haven't been fixed properly, still. I posted it on bugtracker, it was said to be fixed multiple times, yet it is not. I'm talking about Drain Soul and its channeling. In EoA, violent winds mechanics still interrupts the channeling, even tho every other casting is not interrupted. Second of all, as the Drain Soul makes your character turn facing to the target, it is considered as movement by the legendary boots (Norgannon's Foresight) and despite standing on single place without walking, whe 8s "stand still" counter doesn't start. Maybe nobody understood me all those months on bugtracker what the issue was, as it was considered fixed yet it is not. Should I make a quick video, with weak auras counter so that you can see where the real issue is? Ps. I love the work you devs put into lock for this summer content patch, I'm mentioning it again just so that you know that it wasn't fixed last time, and should not be considered done for future development progress.